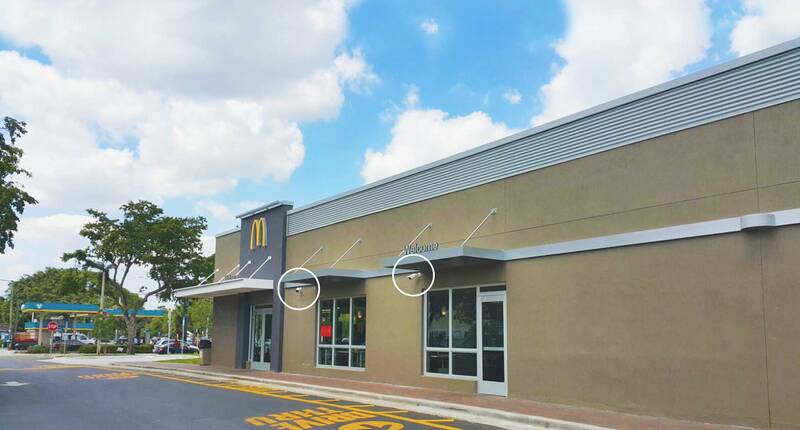 Best loss prevention tool for your Restaurant: Installing Security Cameras. Many retail industries have come to the conclusion that there are great benefits to be had from the installation of CCTV systems. Especially for those who run restaurants, there are particular advantages to be considered. Deterrent: The presence of a security camera can discourage crime. Remote access: You can login to your account from all over the world. Prevent lawsuits: Slip & falls, robberies, car crash, employee misbehavior and more. Easy to use: A simple app on your mobile or computer that you can live watch or playback. Peace of mind: Because everything is going to be recorded even in your absence. The main use of security cameras in a restaurant is to watch the dining room for those people who sneak out without paying their bill. If cameras are employed at strategic parts of the dining area and a nearby monitor is constantly observed, then such a maneuver is very difficult to complete successfully. It provides the opportunity for an employee to step in and politely ask if the group has not forgotten something! A Security Camera System is also a good way to discover how and where you are losing money of employee errors, inefficiency or deliberate theft. The cash savings alone can pay for the security camera within a very short space of time. 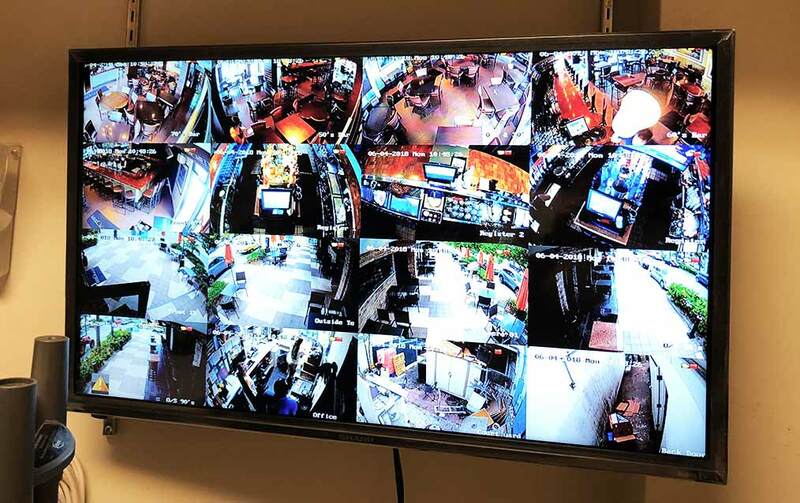 When designing a CCTV system for your restaurant – and you would be well advised with our experts in the field – it is important to be aware of the need for some privacy, both with regard to your customers and the people who work for you. By all means installing cameras in such areas as the foyer and entrance, dining rooms, bars, stockrooms and kitchens, but keep them out of areas where it could be argued that there was an invasion of personal privacy, as it could leave you facing an expensive lawsuit. 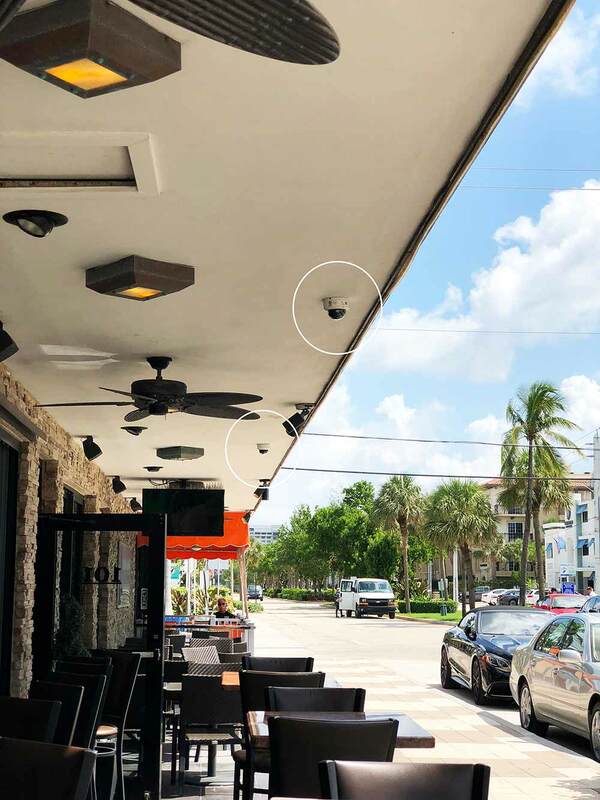 If you would like a free quote for CCTV in your restaurant, please contact at 954-616-0600 immediately for a free quote. Keep an eye on your employees and clients. Give yourself some peace of mind. Receive alerts and notifications of every movement. Restaurants are a hot spot for crime. Restaurants can literally be a “hot spot” for a crime. 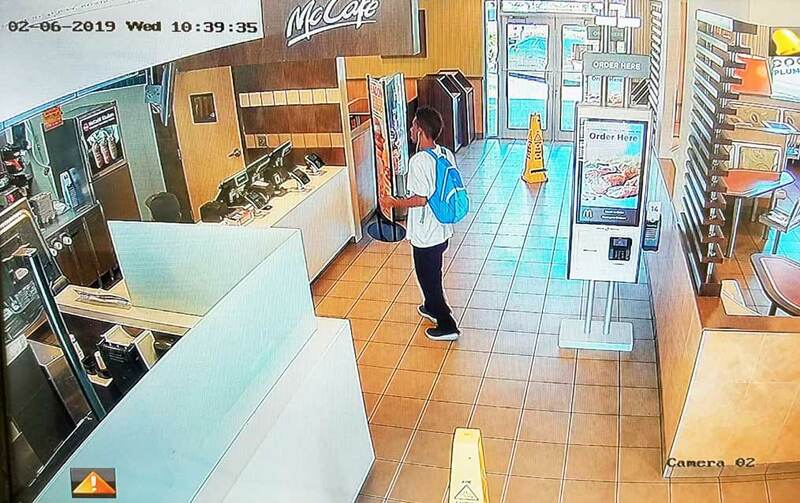 Thieves can rob your fast-food restaurant, especially late at night when you have minimal staff on hand. Customers can walk out the door of your fine dining establishment without paying the bill, or stealing the tableware. 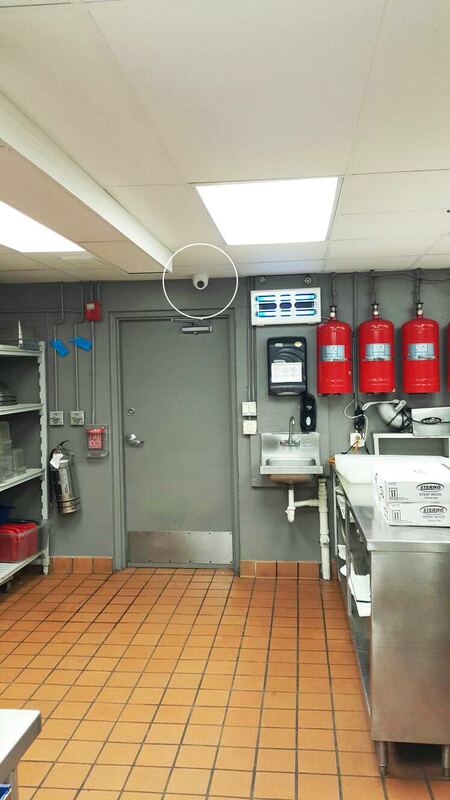 This can all be stopped if chef-owners could see the value of a discreet security camera system in their restaurant. However, it is your employees that you may need to watch out for the most. Statistics report that 75% to 85% of all restaurant theft is committed by employees, accounting for up to $6 million in loss from U.S. restaurants. Not to mention the loss of business stemming from employees acting inappropriately and treating customers poorly. 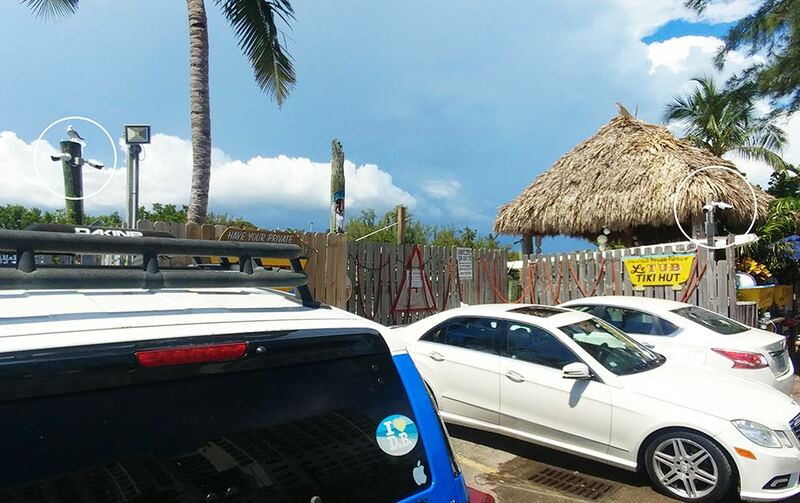 By installing an indoor/outdoor security camera system at your restaurant, you can protect your employees and customers, catch thieves, and possibly deter crime. But, more importantly, you can increase your employees’ and customers’ confidence that you are providing them with a safe working/dining environment, and ensure your restaurant’s longevity and reputation. 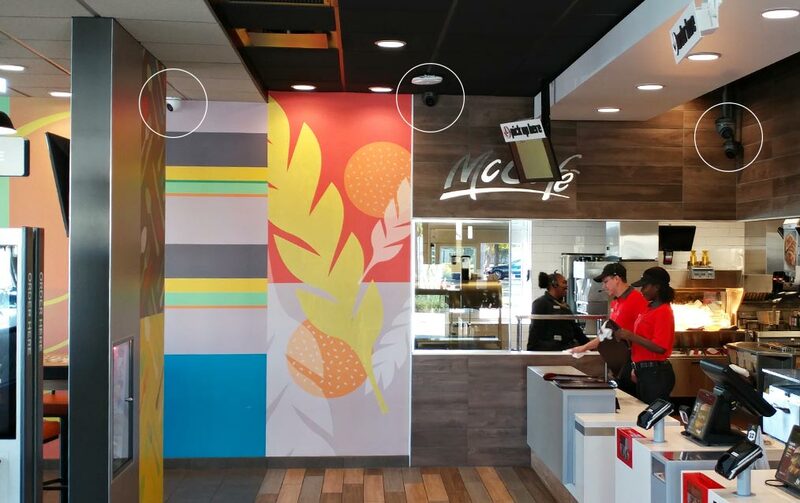 Before you install surveillance cameras in your restaurant, it is important to determine the best installation locations based upon employee/customer usage patterns, as well as the lighting level of each location. This plan will help you determine the right CCTV camera to install in each location. Several important areas you should consider for security camera placement are listed below. A security camera should be installed at all entrance and exit doors to record every customer, employee coming in or out of your restaurant. At the main entrance, ideally, the video camera should be focused at head height for easy identification of each person. An additional security camera installed in your waiting area can help you determine the number of people waiting during peak times, so you can schedule your staff accordingly. At back entrances, the surveillance camera should be focused on, not only the person’s face, but also their actions to help you identify and deter employee theft. Monitor all kitchen operations – order processing, food prep, dishwashing, or food storage, so you can manage the kitchen more effectively and efficiently while ensuring quality control. Discover and prevent employee theft of cash, food, alcohol, supplies, equipment, or retail items. Observe employee productivity, so you can reward hard workers and/or reprimand slackers or rule breakers. Track safety procedures to prevent accidents from occurring, or if an injury does occur to establish how it happened, especially if it may lead to a lawsuit. Prevent employee mischief from occurring due to employee arguments or fraternization issues, or employee retaliation on customers, which can lead to a bigger employee and/or customer problems, illnesses, or possible lawsuits. Keep track of food/beverages in freezers, coolers, and wine cellars to identify theft and monitor for proper temperature storage. Generally, outdoor weatherproof bullet or armor dome cameras are best for the kitchen due to temperature variations in cooking or cooling areas, increased humidity, or to prevent grease and/or water from getting on the lenses. Infrared cameras are recommended for night vision after hours. Also, vandal-proof cameras will deter any employee tampering to disable the camera. Supervise wait staff, bartenders, or bouncers to confirm that everyone is performing their duties efficiently. Monitor customer seating areas, so wait staff can be reallocated as needed. Ensure your customers are satisfied with their food and are receiving the level of service they expect, so you can handle any issues quickly. Determine when customers are finished eating, make sure their bills are paid for, and watch for customers who leave before paying the bill. Identify customer theft of tableware or decorations. Prevent customer misbehavior that may lead to bigger issues, injuries, or possible lawsuits. 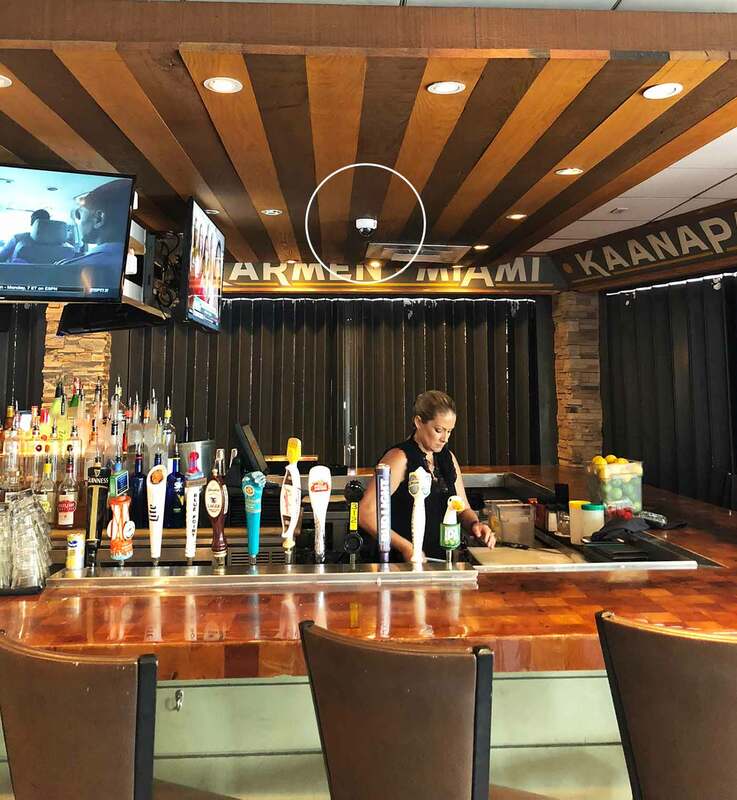 Small bullet, dome, or covert security cameras are ideal for dining and bar areas to minimize any customer discomfort that larger surveillance cameras might cause. Depending upon low light levels in dining rooms or bar areas, or if you want night vision security after hours, infrared cameras should be installed. Cash registers are a key target for theft or fraud. You should place a high-resolution CCTV camera at your cash register(s), so you can keep track of all money and credit card transactions. Video surveillance can alert you if employees are skimming money off the top or using customer credit card numbers to enter fake sales in order to pocket the cash. Video can also provide you with the evidence to contact the police. 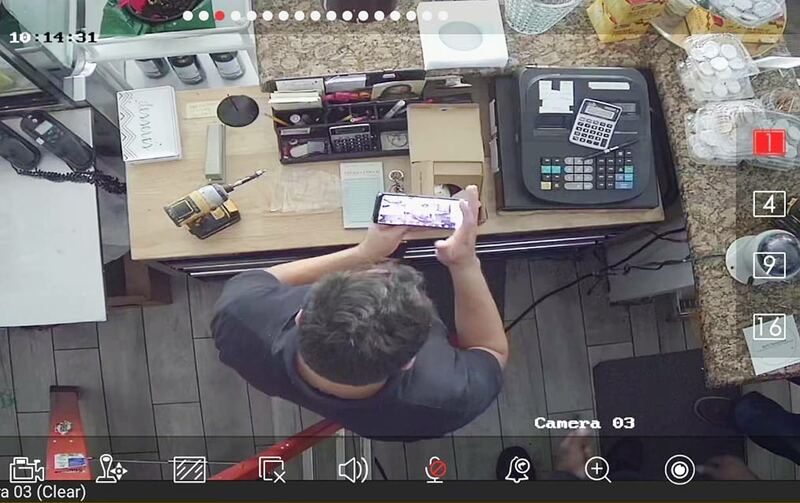 When installing security cameras at cash registers, you should determine if you want a wide-angle view to monitor all actions around the cash register, or if you want a narrow view so you can see the denomination of the bills. 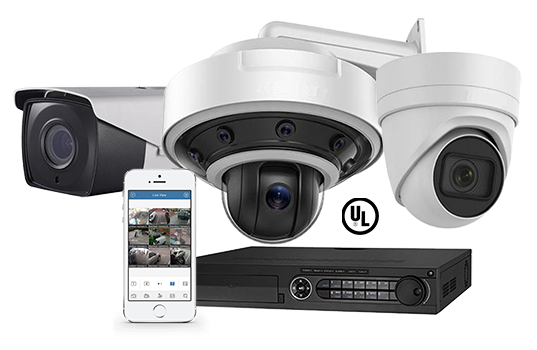 Or, you may decide to install both a wide-angle dome camera and a high-resolution CCTV CCD box camera for added protection. Supervise drive-thru windows or pick-up locations. Monitor your customers’ cars for theft or vandalism – providing a record of the cars’ color, make, model, and license plate information. Provide proof of what happened if any accidents occur in your parking lot or on your walkways. Supply you with additional information about any thieves and what they may have stolen, if your restaurant is robbed. See who may be vandalizing your property. 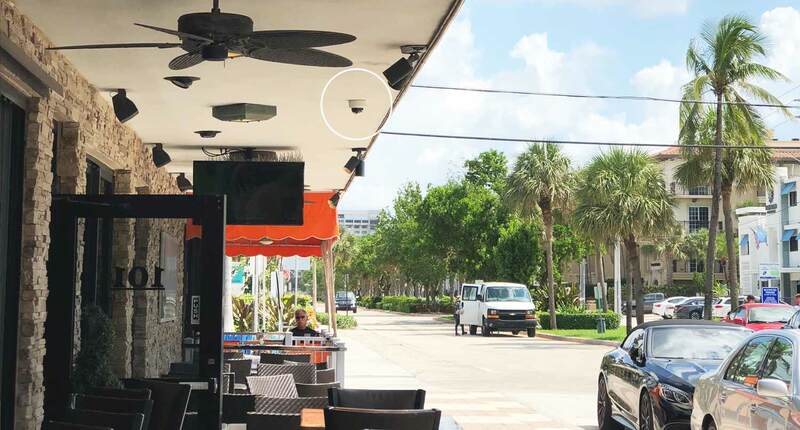 Outdoor, weatherproof, high-resolution bullet cameras with infrared capabilities are ideal cameras for parking lots and walkways to record all the activities around your restaurant both day and night. Additionally, you should install CCTV DVD recorder(s) to maintain video records of all your restaurant’s operations. These DVR recorders should be properly installed, calibrated and programmed and stored in a secure, tamper-proof location with backup power available. 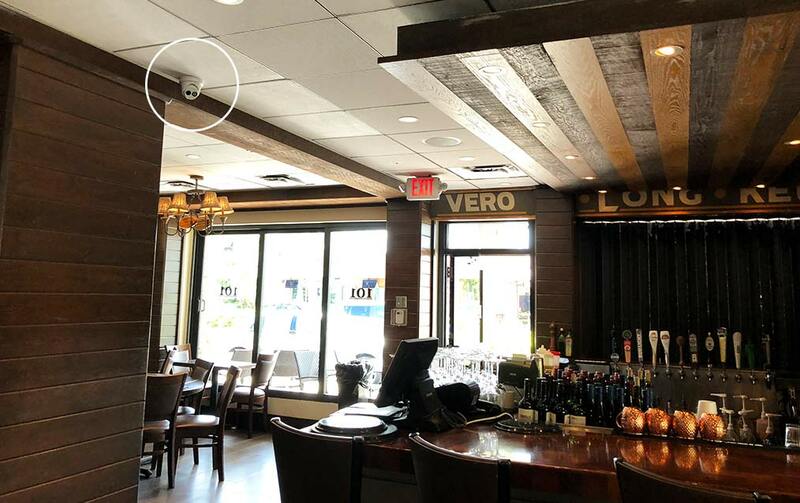 P&O Global Technologies, Inc. provides restaurant owners of South Florida with video surveillance systems they use daily to run their business efficiently and keep track of employee’s productivity. A video surveillance system installed at your restaurant can help you catch any thieves and provide the necessary proof law enforcement needs to convict these criminals. It can provide valuable information needed for employee and operations management, customer relationship building, and as evidence in incidences that may lead to lawsuits. The existence of security cameras in restaurants can also scare away potential robbers or vandals. But, more importantly, it can increase your customers’ and employees’ confidence that your restaurant is a safe location for them to dine or work in, especially at nighttime. 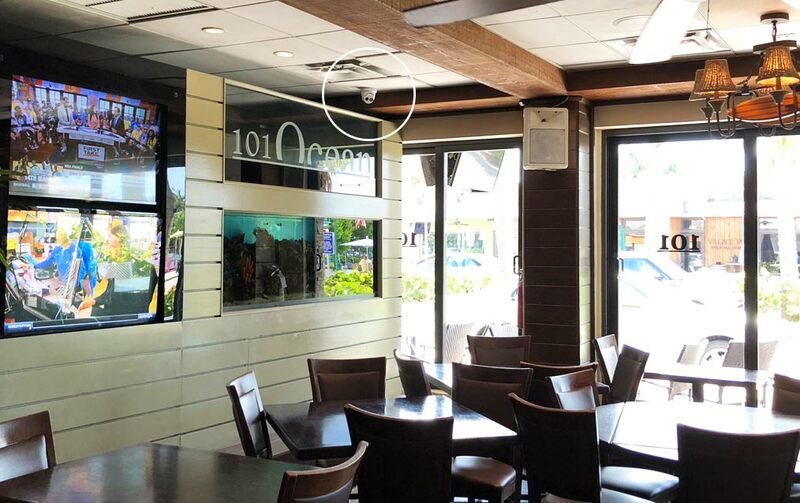 P&O Global Technologies, Inc. offers a variety of security cameras for your restaurant, installation that will meet your budget. Call us today at 954-616-0600 to schedule a visit from one of our security specialists.